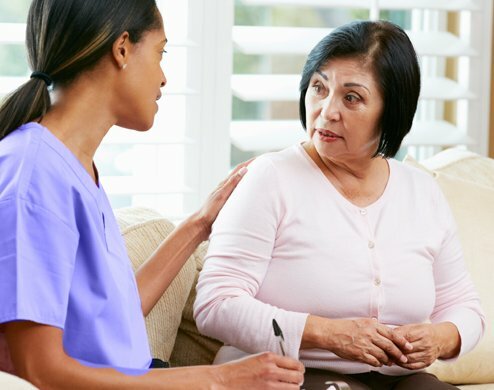 Our primary goal at Rappahannock Women’s Health Center is to ensure the women in our community have a clean, warm and comfortable environment dedicated to all aspects of women’s health care with current research based medicine. At RWHC our highly qualified team of providers offers complete obstetrical care for both mom and baby. Pregnancy can be an exceptionally rewarding time for women, and knowledgeable and experienced prenatal care is vital to the healthy development of your baby. Complete gynecological care is an essential part of a woman’s overall health. RWHC physicians have vast experience providing basic services as well as special expertise in cutting edge technology. RWHC is a group of highly skilled OB/Gyns who perform procedures sought by women desiring the most advanced techniques in gynecologic surgery. Our focus is minimally invasive surgeries that solve problems with smaller incisions, less pain, and a rapid return to regular activities. Whether you’re a first-time mom or getting ready for your fourth child a midwife can help you feel confident and prepared to welcome your new baby. We have over 70 years of combined experience. We want you to takean active role in your healthcare, by asking questions at any time during your visits, your prenatal care, and surgical care or even just your routine physical exams. We at Rappahannock Women’s Health thank you for taking the time to contact us about your medical needs. We take great pride in our patient care and look forward to seeing you soon. Looking for new patient paperwork?